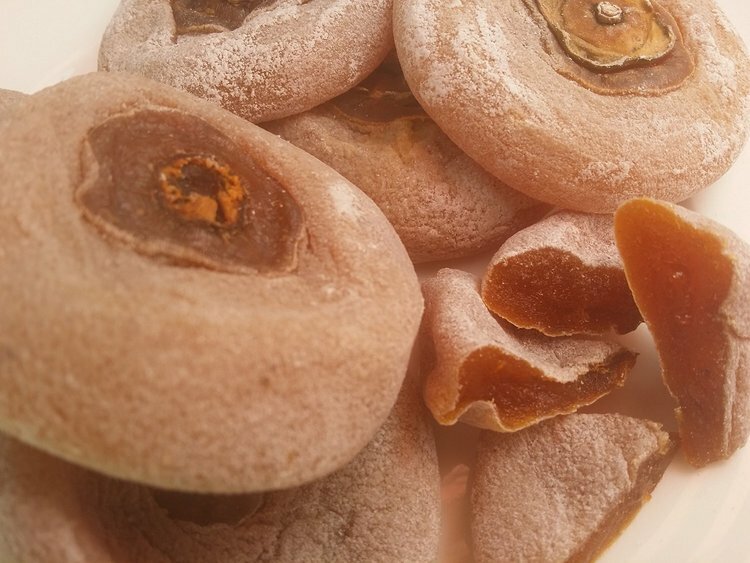 Category: Dried Persimmon. 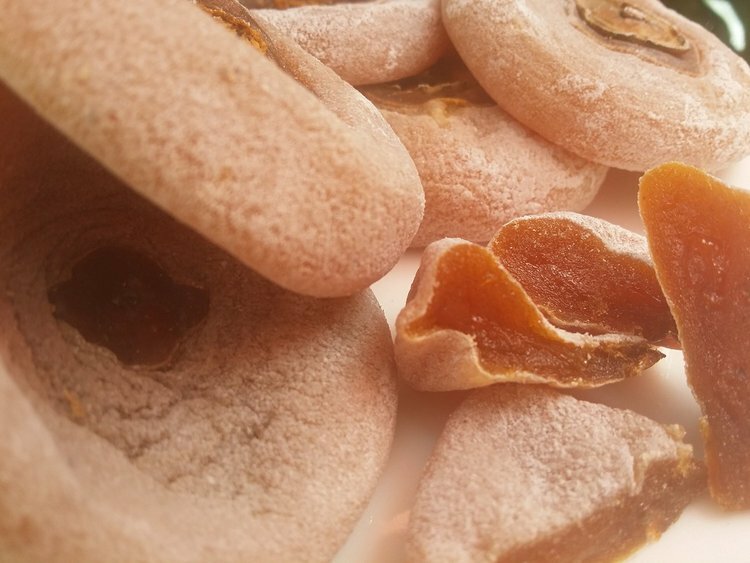 Tags: Dried soft Parsimmon, dried-soft-sweet-persimmon-for-sale. Persimmons contain health benefiting flavonoid poly-phenolic anti-oxidants such ascatechins and gallocatechins in addition to having an important anti-tumor compound,betulinic acid. Catechins found to have anti-infective, anti-inflammatory and anti-hemorrhagic (prevents bleeding from small blood vessels) properties. Some of other anti-oxidant compounds found abundantly in this fruit are vitamin-A, beta-carotene, lycopene, lutein, zea-xanthin and cryptoxanthin. Together, these compounds work as protective scavengers against oxygen-derived free radicals and reactive oxygen species (ROS) that play a role in aging and various disease processes. Zea-xanthin, an important dietary carotenoid, is selectively absorbed into the retinal macula lutea in the eyes where it thought to provide antioxidant and protective light-filtering functions. It, thus, helps prevent “Age-related macular related macular disease”(ARMD) in the elderly. Persimmons are also a very good source of vitamin-C, another powerful antioxidant (especially native Chinese and American persimmons; provide 80% of DRI). Regular consumption of foods rich in vitamin C helps the body develop resistance against infectious agents and scavenge harmful, pro-inflammatory free radicals. It is good in many valuable B-complex vitamins such as folic acid, pyridoxine (vitamin B-6), thiamin…etc. These vitamins act as co-factors for numerous metabolic enzymatic functions in the body. Fresh and dry Persimmon fruits also contain healthy amounts of minerals like potassium, manganese (15% of DRI), copper (12% of DRI), and phosphorus. Manganese is a co-factor for the enzyme, superoxide dismutase, which is a very powerful free radical scavenger. Copper is a co-factor for many vital enzymes, including cytochrome c-oxidase and superoxide dismutase (other minerals function as cofactors for this enzyme are manganese, and zinc). Copper is also required for the production of red blood cells.